File your returns with accuracy by staying up-to-date on recent tax changes with the most current tax preparation guide. 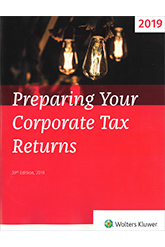 Critically-acclaimed by tax professionals, Preparing Your Corporate Tax Returns is updated annually and provides the most comprehensive coverage and in-depth analysis of the rules for corporate tax returns available. Why do tax professionals across Canada come back to Wolters Kluwer year-after-year? It's simple. We provide the most comprehensive tax resource available anywhere. Federal and provincial income and capital taxes are exhaustively detailed. Descriptions of forms and analysis of necessary information are organized by topic. Preparing Your Corporate Tax Returns will give you the professional expertise, confidence, and time-saving efficiency you need to deliver your best returns. 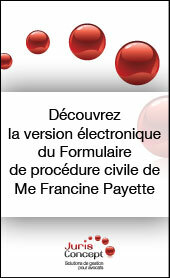 103 internautes ont consulté cette page.